Drugs reps are good at swaying doctors towards the newest, and most expensive, prescription drugs, so you can't always assume that your doctor is going to prescribe the most affordable drug option. Before you leave the office, ask if the medication prescribed has a generic. If it doesn't, follow up by asking if there's a drug with a generic that would work just as well for your condition. It's a simple question that could save a lot. Want to be a more informed consumer? Pick up the latest copy of The Pill Book, so you can quickly check to see which drugs have a generic. Doctors' offices and hospitals often receive samples of new prescriptions. If you doctor insists on a name-brand medication, ask if he has any samples that he can give you. With a bit of luck you could receive a full course of an antibiotic, or a month's supply of a maintenance drug, free of charge. Did You Know? Pharmacies also receive free samples from drug companies. Check with your pharmacist to see if they have any free samples of over-the-counter medications that you need. This can be a great way to try out new allergy or heartburn medicines, among others. Coupons aren't just for groceries. Check with your doctor and pharmacist to see if they have any coupons or rebate offers for the prescriptions that you take. Still no luck? Visit the manufacturer's website to see if there are any coupons or rebates that you can print. Quite a few stores offer free fills of antibiotics, vitamins, blood pressure, heart and diabetic meds. Check with local pharmacies to see if one of your prescriptions qualifies. Many grocery store pharmacies have these programs. You shop around for everything else, so why not your prescriptions? Before you have any prescription filled, call around to several local pharmacies to find out who has the best price on your medication. This is especially beneficial if you don't have drug coverage — as the base price can vary extensively from one pharmacy to the next. Here are some ways to save more at CVS and Walgreens. 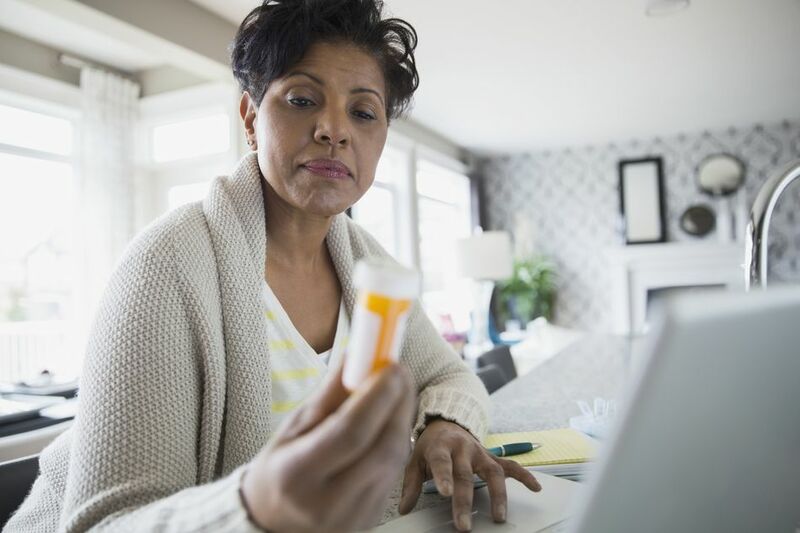 More and more insurance companies are pushing the use of mail-order pharmacies, so check with your provider to see if they offer any discounts for using such a service. Often, you can get a three-month supply of your prescription for the cost of a single co-pay — a very good deal indeed. If you're taking a tablet that comes in more than one strength (say 15mg and 30mg), you may be able to cut your medication costs by having the higher strength tablets cut in half. Talk to your doctor and pharmacist to see if this is a viable option for you. Most pharmacies will happily split the pills for you, but you can purchase an inexpensive pill splitter, if you need to do it yourself. Many of today's over-the-counter drugs are former prescription drugs. Before you fill a prescription, talk to your doctor to see if an OTC might meet your needs. No prescription coverage? Don't resign yourself to paying full price; instead check around to see if you're eligible for a prescription discount card with any organization that you belong to — say AARP or even your auto insurance provider. No luck turning up a free card? Shop around for a paid pharmacy discount card. In most cases, the savings will more than make up for the cost of the membership. Budget too tight to cover the medication that you need? Don't do without! Check with the maker of your prescription to see if they offer any hardship programs. You can often get your medication for free or at a reduced cost, if you can't afford to pay retail. These are typically referred to as patient assistance programs. Many states also have their own programs, so it's definitely worth doing a bit of research. Wait, You Can Really Sell Your Hair for Cash? Looking for a cheap haircut? Look no further. What Are Some Easy Ways to Make Your Own Beauty Products?